Hallo, friends! Guess what! My desk is littered with bottles and they&apos;re all shades of Fall! Yay! I like Fall polish the best. 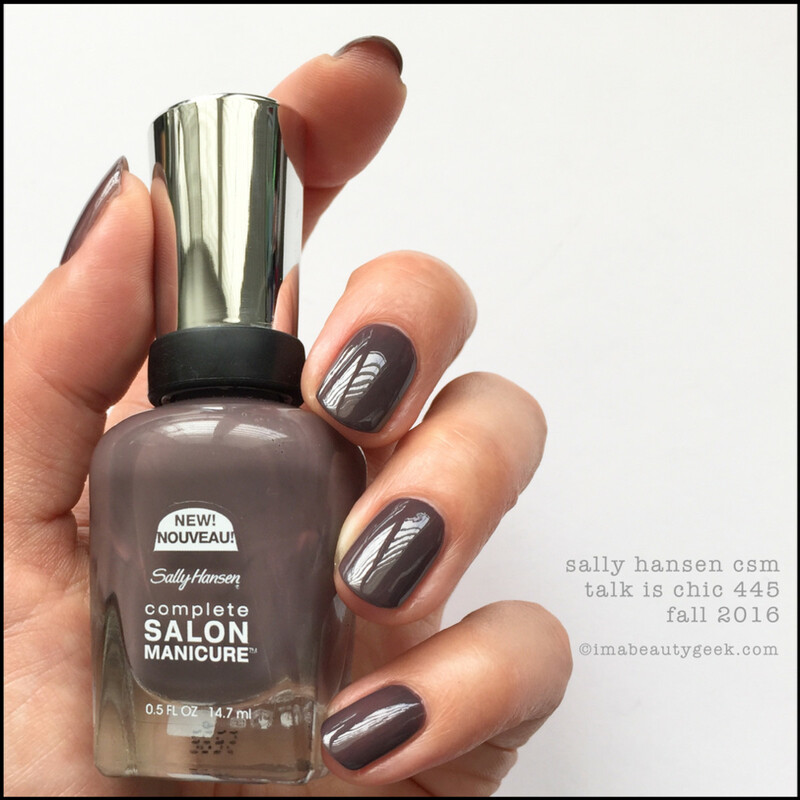 Sally Hansen CSM 455 - Talk is Chic (above). Wow. Sometimes shades like these really stump me in terms of descriptions. It&apos;s like creamy lilac-leaning mocha taupeness. Or something. Whatever you call it, I call it remarkably seasonally appropriate. Good with sweaters of all shades! Oh – two coats. Sally Hansen CSM 471 - Clean Slate (above). I pretty much have #GrabbyHands for shades like these. Am I going to describe it? Nope. Am I going to tell you how many coats it is? Nope. I&apos;ma show you! Huzzah!! Speed painting!! That&apos;s two coats (and the colour isn&apos;t really true there), but if you slap on a moderate single coat, it&apos;ll do. I always prefer two thin coats though; you just get better depth of colour that way. Sally Hansen CSM - Bow to the Queen (above). We saw this kind of colour rolling around for Fall 2015 but this year, shades of greeny-grey are big. Like, huge. If you don&apos;t have one in your stash yet, this is another easy two coats. With the base and top built right in, we&apos;re talking time-saver too, right? These 3 shades are all in the core collection and they deserve a getting-back-to-sweaters spotlight. You can get &apos;em at your local polish haunts like ShoppersDrugMart.ca, ulta.com, or amazon.com. Get more information at SallyHansen.com. 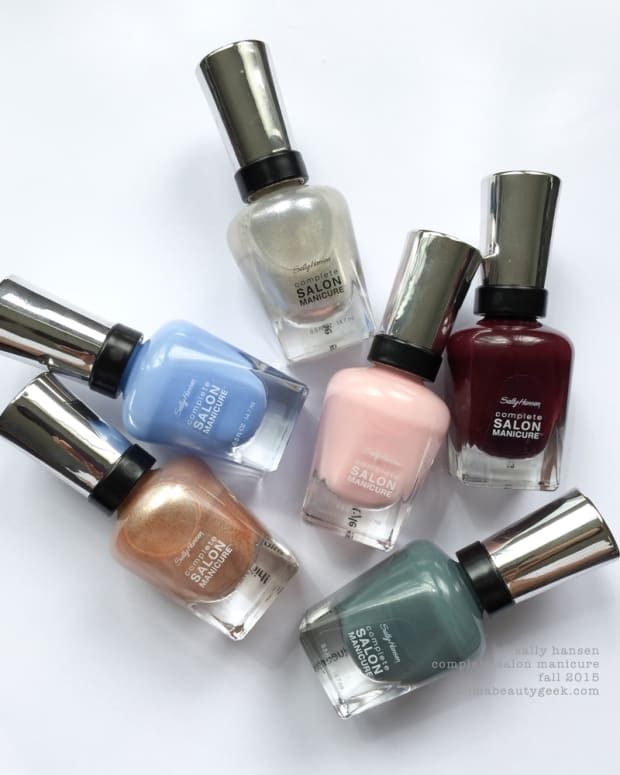 And you saw our coverage of the 33 new Sally Hansen Color Therapy launch shades, right?